Who would have thought that the world of ophthalmology has hidden secrets in the person of Mark Agas. The cyber world, particularly in the Philippines has been very busy lately with video sharing of Mark talking to a patient while sitting in front of a computer. Girls took notice of the video and spread it like wildfire. The sad thing is that many Filipinas would love to have their eyes examined by this eye candy guy without knowing about the poor state of eye health care in the Philippines in general. According to several reports, the state of eye health in the country is a sight for sore eyes. The last study on blindness in the Philippines was conducted in 1995 and according to that report, it was estimated that nearly 500,000 Filipinos are blind. The leading causes of blindness among Filipinos are cataract, aphakia, and glaucoma. The report recommended that there should be national committee to prevent blindness, good network to deal with cataract cases in respective local government units, integration of eye care in the school learning process, and comprehensive information campaign on eye health. In 2010, Philippine Daily Inquirer reported that 6 out of 10 Filipinos died without seeing a doctor. Mark Agas' instant popularity can be exploited to help ignite health awareness particularly in the eye health care in the Philippines. As an ophthalmologist, he is an expert in the surgical and medical care of the eyes and the whole visual system and has the capacity to help prevent eye injuries and diseases. Thus, he has the capacity to enlighten Filipinos on the state of eye health in the country. 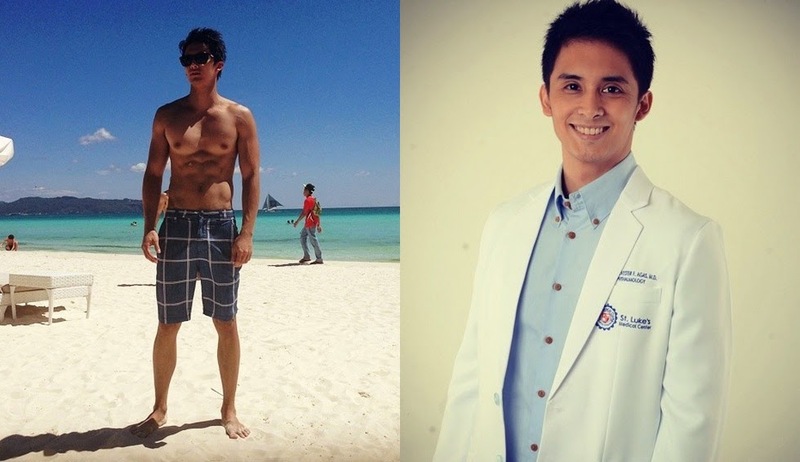 Now that Mark Agas has become popular as the most handsome ophthalmologist in the country, he has the power to ignite empowerment activities in the country that will mobilize people to help some of the above recommendations become a reality if not yet done at this point in time. Recently, the Department of Health has stated that it will adopt important elements that will help draft a strategic plan to prevent avoidable blindness. He can start by volunteering time to get involved in this process.